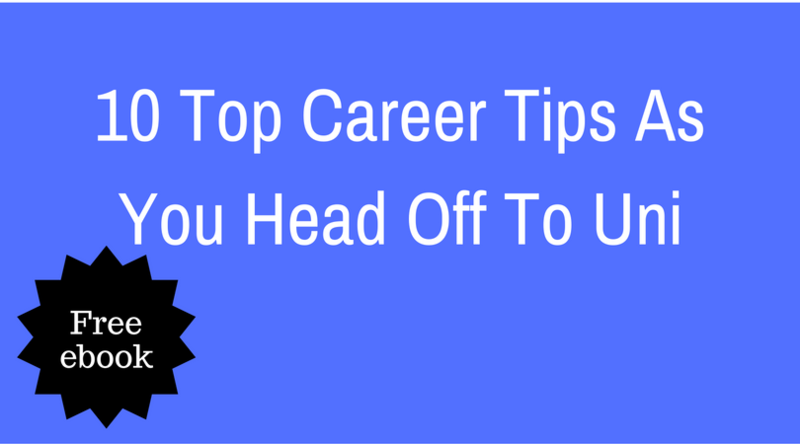 Home » Tips for Students » What’s the worst piece of career advice you’re likely to receive? The worst piece of career advice you’re likely to receive? 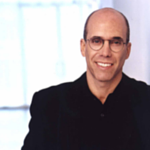 According to Jeff Katzenberg, CEO of Dreamworks, it’s “Follow your passion“. We totally agree! It may seem a bit odd that, when giving career advice, the CEO of a company called Dreamworks appears to be telling us not to follow our dreams. Nevertheless, we think he has a point. Why? Well, reason number one – most of us simply don’t have a ‘passion‘. When it comes down to it, we have ‘interests’, ‘hobbies’, things we really enjoy doing – but do we really feel passionate about them? It appears that ‘passion’ is one the most over-used and over-rated terms in career advice and job ads today. We’ve seen too many students delay starting their career, waiting to be inspired by a job about which they can feel truly passionate. So take our advice -don’t fall for the hype! Reason number two: even if you do have a passion, is it really one that can be turned into a job or business? A few lucky souls have found a way to ‘follow their dream’ but they are the exceptions. And more often than not, they’ve had to make compromises that the rest of us are just not willing to do- like living on a shoestring! Reason number three – and the most important – there are plenty of people who are extremely successful doing things that they are not passionate about. What this simply means is that they are very good at what they do and somebody else values what they do enough to pay them to do it. So yes, we agree with Jeff – that old cliche probably is the worst piece of career advice you’ll ever get. Start with what you are genuinely good at. Be realistic – don’t list things you would like to be good at and, remember, there are certain skills you can acquire but others you need to be born with. Successful people make the best use of the things they are really good at and find ways of compensating for things they are not good at. If in doubt, ask friends, family and teachers what they think or try some online aptitude and personality tests. Next, write a list of the sort of things you like to do – and a list of things of things you really don’t like to do might be quite useful too! Then look at those things (skills and attributes) that companies are willing to pay for. 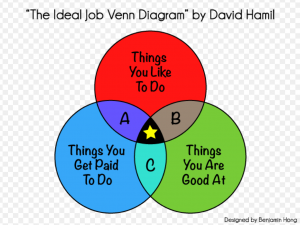 Which are a good fit with the things you like to do and are good at doing? if you like and are good at dealing with people, does that mean you might like working in a public-facing role? if you like writing, how would you feel about writing press releases or social media content? if you are good at predicting the next big thing and like working with numbers, would you like to do the buying for a major retailer? if you get buzz from organising things, maybe event management would suit you? If you were good at research at Uni and enjoy problem solving, maybe yuo should be a management consultant. or if you like the cut and thrust of doing a deal, maybe a broking or sales role would suit you down to the ground. It’s like we said earlier: most really successful people are not ‘following their passion’. Their ideal job turns out to be simply a great fit between what they are good at (which almost always means they like it) and what someone else values. So stop procrastinating and start taking positive action: the most important thing when you leave Uni is to get started on your career. Start with something you’re good and see where that leads you….